Seventeen members + one non-member gathered at Eltham station to undertake this 6 mile ramble across SE London’s open spaces. On walking out of the station approach we crossed under the railway and over the road to Well Hall Pleasaunce a local park, where I showed the party the spot where an 18th century house once stood where lived the author Edith Nesbit. Here she wrote “The Railway Children”. 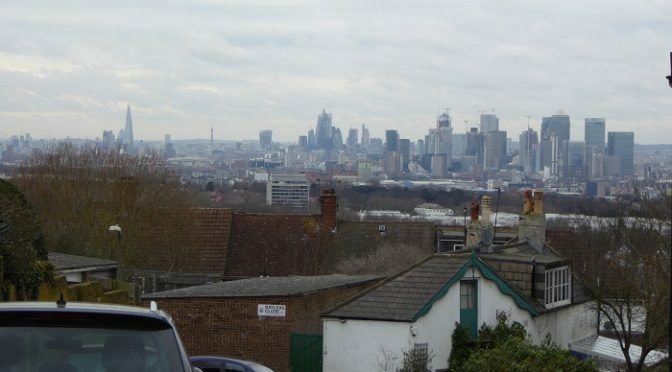 We then continued along Dunvegan Road until we reached Eltham Park with views across to Crystal Palace. Then we crossed Shepherdleas Wood then onto Oxleas Wood. This led out to Oxleas Meadows, a large sloping open space, where we gradually climbed to the top end, and came across a cafe with more views over south east London. It was lunchtime.